WE NEED our broken system to be changed. The Transport Workers Union is at the forefront of this. We know what the change needs to look like. Our fight fits with what workers and other unions want, which ensures a safer and fairer transport industry. Drivers are being pushed to drive dodgy trucks, with bald tyres and faulty brakes, for long hours without break. Drivers are being ripped off. 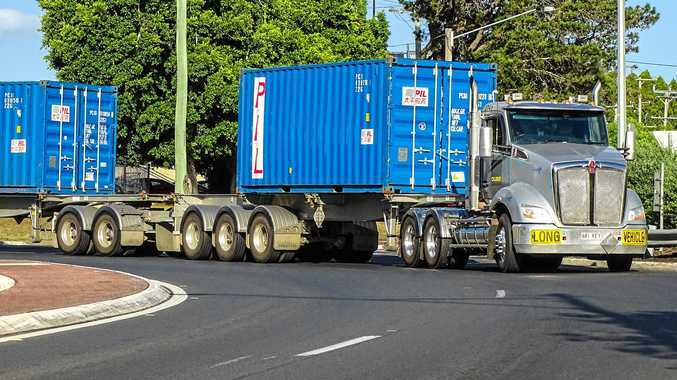 There are companies that are not paying super, not paying for training, not maintaining the trucks, not providing pay slips and not fulfilling legal obligations that mean a driver and their family can live their lives. Drivers are being sent out in trucks that are not fit for the road. People are dying and companies are going under. I can't stand by idly when over 500 people have lost their lives in truck crashes since the Federal Government tore down a road safety watchdog three years ago. Of these deaths, 115 were truck drivers. So many families and communities have been left devastated because of this. Too many transport companies are also going out of business because of the financial squeeze. Figures show 1045 transport operators have become insolvent in the past three years. Some of those companies include larger operators, such as Redstar with the loss of hundreds of jobs. Some were owner drivers and small fleet operators, devastating families and local economies. The Labor Party in its December conference backed our Safe Rates plan to lift standards in road transport. This plan will also address the vacuum of regulation in the on-demand economy which is seeing thousands of workers in Australia exploited every day. We are fighting for the transport industry, we need to ensure the transport industry is providing decent, fair and safe jobs for all who drive. We know we need to take more action to ensure our message is not only heard, but acted upon. The TWU is ensuring that the federal and state governments know that they need to act, and act urgently over this huge mess we find ourselves in. We want safer roads for drivers, and all users of the roads. We believe in the need for enforcement of shared responsibility for road safety. Drivers must not to be pushed by their bosses to climb into trucks that are not fit for the road. Heavy vehicles must be maintained, drivers must not cop unnecessary pressure to get the job done. Find out what is going on in your yard and when the next action is. Talk to your work colleagues and mates about also getting involved. Make sure you are part of the TWU push for change.